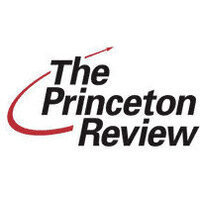 Take a FREE GRE or GMAT practice exam administered by Princeton Review! Find out what scores you are likely to get on the real exam so you know in what areas you should prepare further. ♦ IN-PERSON: Report to a computer lab location on campus and take the practice exam while experiencing an imitation of the real environment. This serves as the best form of preparation for the real GRE. ♦ ONLINE: Have a time conflict with our practice exam event? We offer an online practice exam so you can take it on your own time, from your own location, on your own computer!